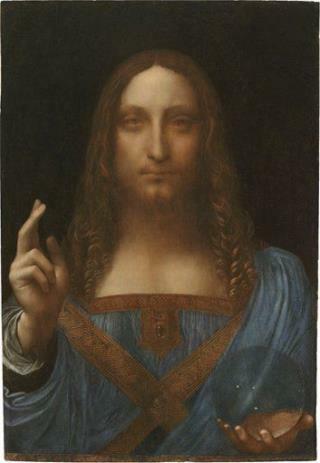 (Newser) – The mystery buyer who shattered art auction records by paying $450 million for a Leonardo da Vinci painting last month has been revealed as an obscure Saudi prince not previously known for collecting art—or for being incredibly wealthy. Bader bin Abdullah bin Mohammed bin Farhan al-Saud—identified by the New York Times as the buyer—is, however, close to Crown Prince Mohammed bin Salman, and might be exempt from his crackdown on corruption. Documents seen by the Times show that Bader, one of 5,000 Saudi princes, told officials at Christie's auction house that he made his money in real estate. This is a painting of Jesus Who? The Jesus with whom I'm familiar in that type of painting is a middle-eastern man. Not that any of us knows what he looked like. A mind boggling sum for a painting.